Ideally, your credit score should be above 600 if you’re looking for a loan of any sort. While this isn’t high, having a score above this number dramatically increases your chances of being approved for bad credit car loans. It’s not impossible to get financing with a lower score, but it’s certainly more difficult and time-consuming. If your score is below this number, you may want to try raising it a bit before coming in to shop. Even for a low-credit loan, you need to have a monthly income of around $1,500 in order to be approved for a loan. This just allows us to ensure you’ll be able to manage your monthly payments, and serves the dual purpose of allowing you to ensure you’ll be able to pay the loan without struggling with your other responsibilities. As previously stated, the best way to increase your chances of getting approved for your loan is to raise your credit bit by bit. While this can take years, there are a few quick steps you can take to fix those numbers. First and foremost, work with a credit company to fix any errors that might be on your report. These can include incorrect addresses and false accounts. Next, try closing any old, unused accounts. These might be dragging your score down. 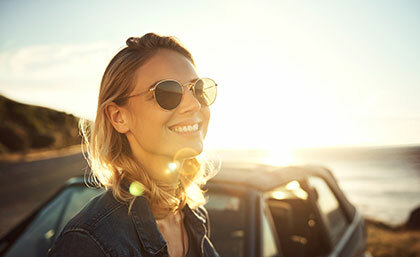 We’re here to help you get into the perfect car for your needs, but by taking care of your credit and income and simply getting prepared before visiting our lot, you can help make the process a smoother, less stressful one for everyone involved.